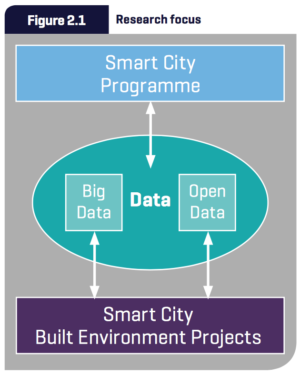 Smart Cities, Big Data and the Built Environment: What’s Required? is a report published by RICS. 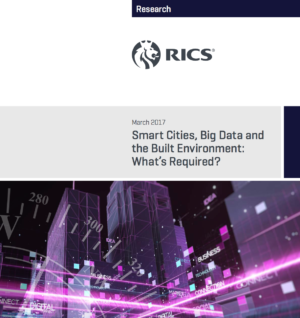 This study focuses on exploring the scope for the development of data platforms at city level in the UK and internationally, in order to determine how the RICS and its members (and other built environment professions, including architects, planners and engineers) can benefit from these data platforms. The drivers and barriers for big data platforms at city level in the UK and internationally. Key trends in the development and opening up of big data in cities. The opportunities for client advice and the potential for RICS members to use big data creatively and innovatively to add value to their professional work. Using an institutional analysis approach, the research consisted of an online scoping survey of UK smart cities; four case studies in Bristol, Milton Keynes, Amsterdam and Taipei; and a UK expert workshop. 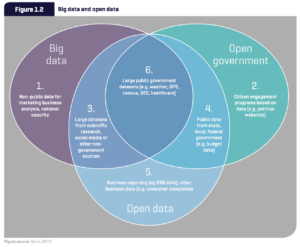 In the UK, there is an apparent lack of strategic thinking in smart cities and the current focus appears to be on open data rather than big data. Although there is some evidence of built environment big data projects, the main focus in the smart city case studies is on open data. There is little or no evidence of the real estate and construction sectors engaging directly with the smart city agenda. There is evidence to suggest that the real estate and construction sectors (and related professional services) do hold big data and are using it internally for client services and other activities. A key challenge is to nd out whether, and how, this data could be used in a smart city context, and in other potentially collaborative ways. Further research is therefore needed to examine what data is held by such organisations and how it could help underpin and drive both the smart city and BIM built environment agendas in an integrated way.